Enchanting colonial architecture, fabulous food and lively festivals are all waiting to help spice up your holiday experience in this remarkable city. As the centre of finance, trade and cultural exchange in South East Asia, you'll discover an eclectic blend of the old, new and unique all adding their unique attributes to produce an area of amazing character. Sightseeing around Singapore is easy, thanks to the many tours and special buses which operate regularly. On your way around Singapore you'll spot many signs of the territory's British colonial past, stemming from its roots as a trading post established by Sir Stanford Raffles in 1819. The Colonial District is still at the heart of downtown Singapore, where cathedrals sit side-by-side with cricket pitches, and outstanding buildings not to be missed include the Empress Place Building, and the world-famous Raffles Hotel. The surrounding ethnic enclaves of Little India, Chinatown and the Arab Quarters also provide glimpses into the traditions that have sustained their respective communities through the centuries. Eating here presents a fascinating fusion of influences from Indian, Chinese and Malay cooking, to name a few. Chinatown is the place for Chinese treats, while Little India offers delicious Indian delicacies. Singapore is home to the aptly named Singapore River, where you can see many sites include the Merlion, Singapore's official symbol, leading onto Orchard Road, a vast shoppers' paradise. A package holiday or all-inclusive holiday is guaranteed to be special at any time of the year, thanks to a busy programme of cultural celebrations and shopping activities. Early summer sees anticipation build up towards the Singapore Sale - a time when tourists can cash in on the competitive prices of electronic equipment, jewellery and other merchandise. Business activity is buoyed by the colourful, regular Chinese, Hindu and Muslim festivals which punctuate the year. These include the Chinese New Year, Ramadan, Hari Raya Puasa, Vesak Day, the Dragon Boat Festival, Festival of the Hungry Ghosts and Thaipusam. 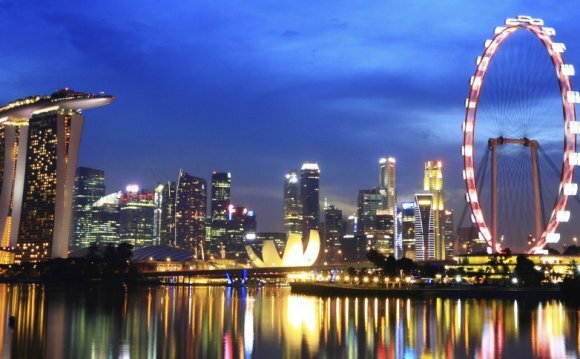 There's so much for you to see and experience on a Singapore holiday that a bit of good planning is essential to make the most of it. But if you're lucky enough to snap up a bargain or last-minute holiday from The Co-operative Travel, you'll be guaranteed a fabulous time exploring one of the most culturally diverse cities on the whole planet. Holidays in the Danger Zone is a series of documentaries, originally broadcast on BBC Four in the UK. They have also been shown on BBC Two and exported to other countries, including Canada.